This brush finds effective use in the cleaning of carpet. This brush consists of nylon bristles. This brush finds effective use in the cleaning of carpet. This brush consists of hair bristles. The soft and flagged bristles of the brush helps in cleaning all the fine dust. This brush finds effective use in the cleaning of carpet. This brush consists of patterns of Black & White hair bristles. This brush is mostly used in houses. This brush is used in common household, bathroom floor cleaning. This brush have a oval shape with wooden body. This brush is made up of hard bristle. This brush is mostly used in laundry. This brush is used in common household, bathroom floor cleaning. This brush is available in 6 Inch, 8 Inch and 9 Inch. 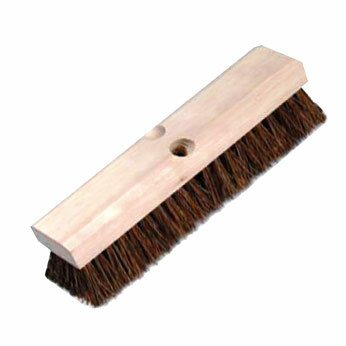 This brush is used in common household, bathroom floor cleaning. 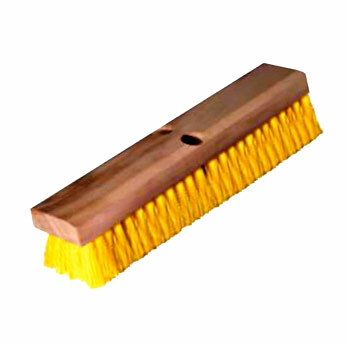 This brush have a damru shape with wooden body. This brush is used in common household, bathroom floor cleaning. This brush have a S shape with wooden body. This brush is used in common household, bathroom floor cleaning. This brush made up of PVC body. This product is an useful & convenient alternative for floor mopping. This helps in dispelling / removing water whenever needed or to remove excess water, thus the hands do not get dirty or wet. Thus there is absolutely no need to bend. Easy to clean under the tables, chairs, double beds, sofas etc. PVA MOP is a excellent MOP which absorb dust and germs from floor. Excellent absorption Capacity. There is less wear and tear while using. Its Sponge become very hard when it is dried. It is soft if it is dipped in water. So due to its durability it is best to use in commercial activities. This floor wiper with special rubber, is used for wet cleaning, wiping water on floors. It is useful in restaurants, shops, halls, hospitals, offices, hotels, godowns, house, airports, railway, factories etc.. Clip Mop has Special Threads for swabbing floors. The threads which is used in this mop has high absorption capacity. This patented product is used for wet & dry mopping of floors, especially over large areas. 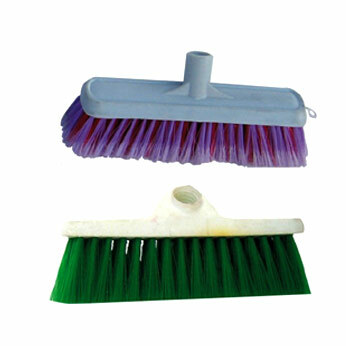 DRY MOP is made up of Plastic body and threads .It is generally used for dry surfaces. This mop can be rotated along axes. The size of its body is 18", 24", 30" & 36".